We are the specialists for bar grinding feeding devices. We offer systems in 3 sizes for workpiece diameters up to 50 mm, up to 150 mm und up to 400 mm, adapted to the required workpiece length (up to 15 m). 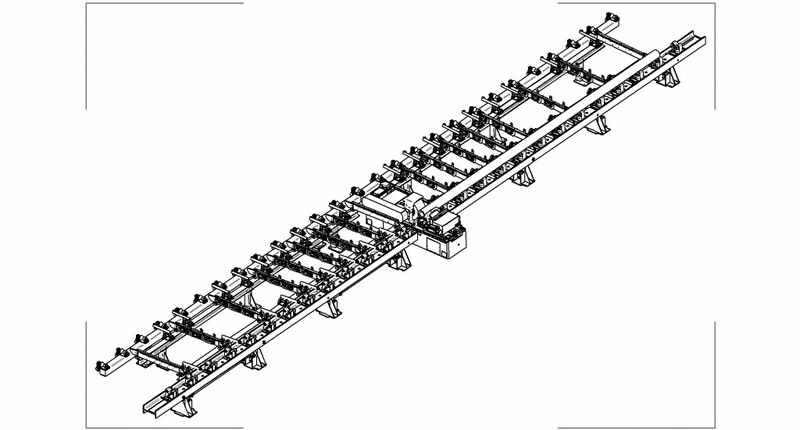 Configurations with workpiece magazines, measuring devices, workpiece circulation etc. are available, matching the individual requirements. 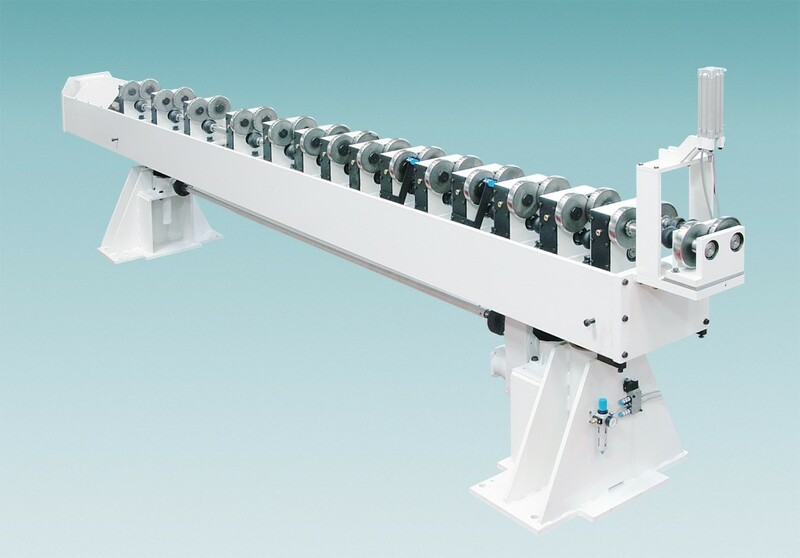 Grinding of bar material is a special case of centerless throughfeed grinding, with special requirements. A suitable centerless grinding machine is needed as well as a set of bar grinding feeding tables for workpiece loading and unloading. Magazines, measuring equipment etc. are optional. The grinding machine needs to match certain requirements. Some of those are not necessary for other grinding operations. A fixed grinding center is crucial, meaning that the grinding and regulating wheels move on separate slides. Without this feature, workrest blade and feeding devices have to be readjusted constantly as the wheel dimensions change. Machine productivity and quality suffer from these constant setup efforts. This feature is found for example on the Lidkoping 630 or the Ebert C-3070. To ensure a productive, easy to setup machine, a workrest blade height adjustment is essential. 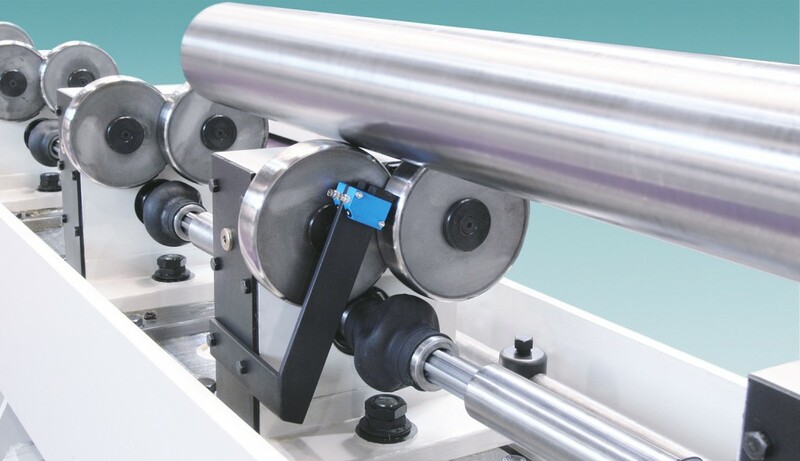 This feature is typical for Lidkoping machines, the Ebert C-3070 even offers a servo axis, for an utmost convenient and repeatable machine setup. Of course, other criteria like sufficient drive power, a precise slide micro infeed and a high stability, especially of the regulating wheel drive, are essential as well. 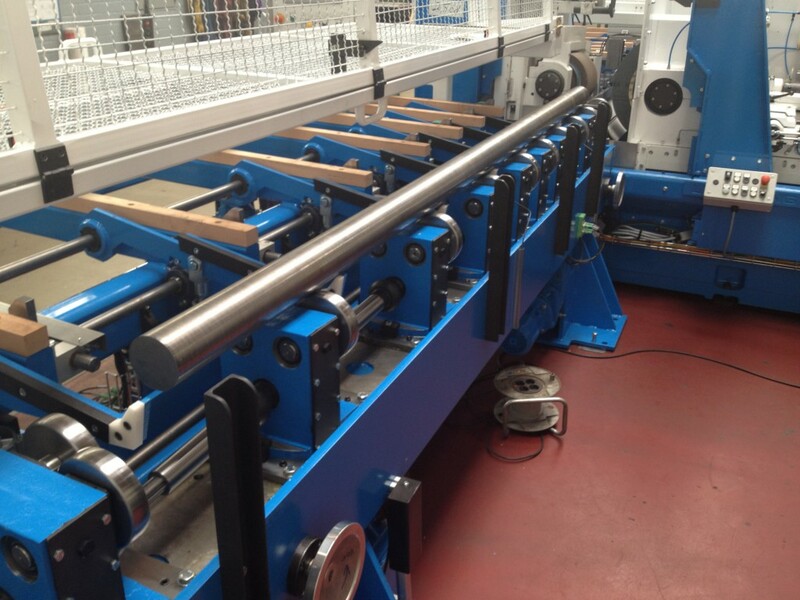 With larger workpiece dimensions, the influence of the bar grinding tables on the grinding result is increasing. They have to be height adjustable as a whole and separately for each drive roll pair. The same applies for the angular adjustment. The whole design needs to be wear-resistant and stable.